So, I had no intention of reviewing or blogging or doing anything online that did not directly contribute to my writing projects today. BUT. 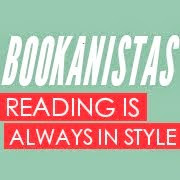 The Bookanistas took on a few new members, and I wanted to give them a proper welcome. So. Matt Blackstone, Cory Jackson, Stasia Kehoe, Veronica Rossi, and Kimberly Griffiths Little!!! So glad to have you join our group! While I'm here playing welcome wagon to our new members, I figured I might as well review a super book I just read. To be honest, I'd never heard of it when it was sent to me. I wasn't sure what to expect. Then I started reading it and was captivated. It's not like any book I've read before--the POV, especially. But even the structure, which is journal-like, had a really original feel to it. My review is below. Goodreads summary: Tod Munn is a bully. He's tough, but times are even tougher. The wimps have stopped coughing up their lunch money. The administration is cracking down. Then to make things worse, Tod and his friends get busted doing something bad. Something really bad. Here's the thing about this book: I sort of didn't want to like it. It's about--and written in the voice of--a bully. And I can't abide a bully. So, I didn't want to sympathize with one. I certainly didn't want to like one. But you know, through the course of reading SCRAWL, I did both of those things. Something else happened too: I began to understand Tod. But Tod isn't your average ham-fisted, blockheaded bully either. He's intelligent, clever, and ridiculously funny. His drip-dry humor was just the sort I usually go for. His voice steals the show and had me turning pages just to see what he would say next. Knocked my slippers off to read him and the way he approached the universe (the writing is quite sharp as well). But it really saddened me, too, because in seeing his sarcasm and his self-deprecation, you also see his unflinching inward look at the ugly reality that is his life. SCRAWL is a vivid portrayal of the ways in which environment can affect more than just a person's ability to feed and clothe himself. You see how deprivation, poverty and neglect affect more than just the physicality of a person. It's easy to vilify a bully, I guess. Certainly, they're bullies and awful and their behavior shouldn't be tolerated. EVER. But SCRAWL doesn't ask us to tolerate the behavior. It merely says look twice and try to get an idea of why. In reading the story of this particular bully, a person who is clearly not evil or malicious--merely a survivor (and SCRAWL seems to make a distinction)--you can't help but feel hopeful. Because if you understand the why, you might stand a chance at not only protecting the victims of bullying, but maybe also save the bully (and in turn, all potential future victims). In reading the entries from Tod's journal, I felt this blooming sense of surprise. For one, it had me cracking up. Seriously funny stuff--I was so taken by the voice. But also, I was starting to really root for him. Though I cringed at those moments where he would relapse and be an arse, I felt a need to cheer when he would rebound and take a few more baby steps forward. Even though he's telling the story, Tod himself didn't seem to be able to see how his life was changing through the pages of his journal, but the teacher--and the reader--clearly do. And you can't help but hope hope hope that he'll progress and change and become a better person, even though you know his life's not going to miraculously change. But SCRAWL isn't just a journal. Not only does it not really read like one, it's an actual narrative complete with dialogue that unfolds in a serial way, headlined by the date. But it's not just Tod's story either. Certainly, he's the star and anti-star of the show--you see his triumphs as well as his weaknesses, his flaws, and his seriously poor choices. But through his eyes and a few conspicuous notes jotted down in the "margins" of the book, you also get to see the teacher that has forced him to keep up this journal in detention. In this way, you begin to see the power of a little attention, care and affection. Through a few secondary characters within Tod's story, you also get to see the transformative powers of love (or something kind of like it) and friendship. So, while SCRAWL is a funny, poignant, sometimes really sad story of a bully; it's ultimately the understated story of a bully's redemption--and a story of hope. Today, February 3, is the last day to enter to win a Signed ARC of THE LIAR SOCIETY by Lisa and Laura Roecker. You have until midnight to get in your entry form (and tweets, FB posts, comments, etc.). Good luck! Man, Scrawl sounds really good. And my god, how will I ever keep up with you all? I can't even read all the posts of the current Bookanistas! I've never heard of that book either, but just from the Goodreads blurb I think I'd read it. It seems funny. And if that weren't enough, your review convinced me. This sounds really good. Once again I am amazed at the story an author chooses to tell. Who know that a bully could become a sympathetic character. Impressive. Thanks for the review. I have added Scrawl to my list. Ooooh. I've added it to my list too! Thanks for telling us about it! Your review makes me want to read it. Thanks! Okay, so I'm pretty sure from your reviews that we have identical tastes -- I am totally reading this book. Thanks! That sounds like a good book. I like how it looks at the bully and why he acts that way. Many bullies have low self esteem and probably bad home lives. Great to see a book as the bully as the main character and not just a stereotype. Signing up for this one now. You make an awesome reviewer. Thoughtful post, this one! I feel like a broken record/skipping CD but you really do give the best reviews. Now stop it. My TBR stack is teetering and you're not helping it get any smaller. Have fun and dazzle 'em in SF. Thanks for the welcome! SCRAWL sounds like a great read for my teenage sons. So, after I've bought and read my copy--I'll pass it along to them. Great review! I've heard of this one! I didn't know that much about it though, and your conversation about the voice and the exploration of this particular bully really has me intrigued. Arg! Another book to the top of the teetering tower of to-reads! Oooh! This sounds awesome and something I would love. One of my fave Jodi Picoult's of all time is Nineteen Minutes, which to a much more drastic extent (about a school shooting) gives you the same perspective. It's fascinating. I'll definitely pick this one up! Sounds right up my alley. Cool cover, too. And fantastic review! Wow. I'm really intrigued. I know from writing how hard it is to make a character sympathetic even when they're a nice character. But to take a bully and do it? And make the reader root for that bully? That takes talent. (Cue comparison to Humbert Humbert here.) Great review! You have steered me toward a few unusual books I've appreciated in the past so I'll check this out. I like a bit of surprise. There is often something behind a bully that drives him (or her) and uncovering what that is can be a fascinating journey of deconconstruction - especially if you seek to change a bullys ways. Alot of thought/consideration must have gone into the writing of this book and without having even read it, I can imagine it to be a significant achievement. Your reviews are great as always Cee. I haven't seen this one before. Thanks for posting it. I don't really care to read a bully's pov, but this sounds interesting. Hey Carol! thanks for the reviews.